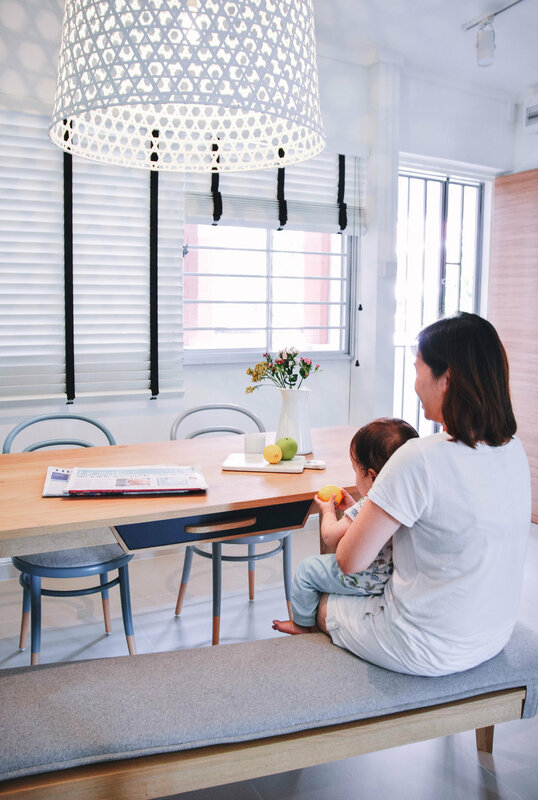 On this full design and renovation project, we went on an exciting journey with a family of 5 to craft a home for them that is comfortable, modern yet full of warmth at the same time. Each space in the Executive Maisonette was carefully curated to suit the needs of its inhabitants. 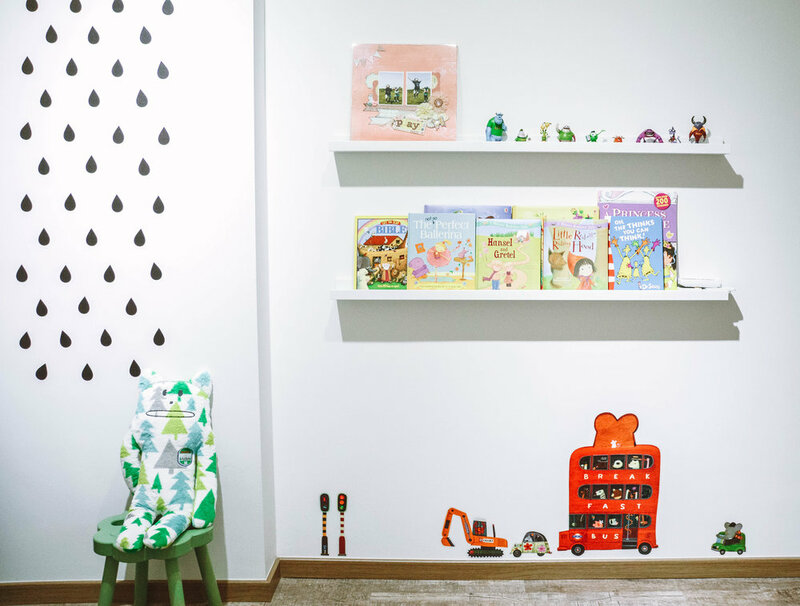 For the owners and especially their 3 little ones in the household, we deliberately kept the overall palette neutral, bright and airy – thus creating a conducive home for the family to rest, grow and play! The beauty of a maisonette unit meant being able to open up the space, creating a seamless connection between the kitchen and balcony accented by Moroccan-inspired floor tiles; and between the kitchen and living/dining room. 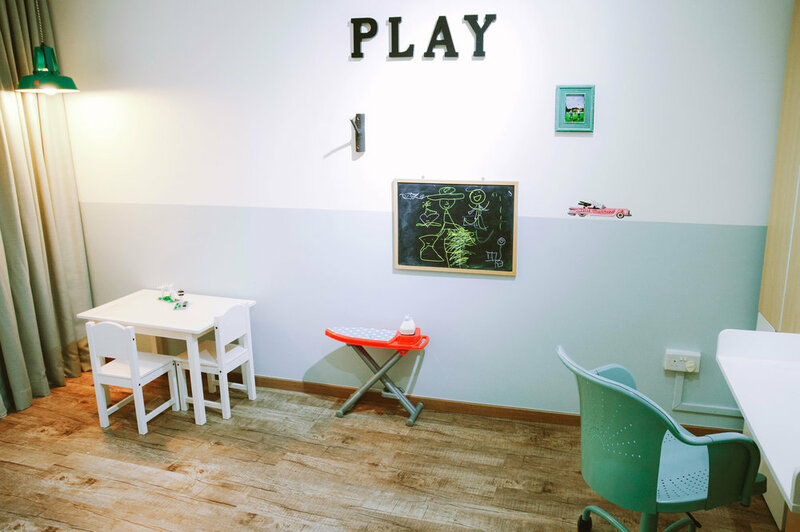 Concealed behind a black chalkboard wall lies a spare bedroom by the entrance. Pops of vintage-inspired and quirky elements like a rope light are placed around the rooms to add that touch of quirkiness and colour – something the client requested for and also had a flair for picking the right items! A truly collaborative effort that’s engaging and fulfilling for us!